Touted in the New York Times in the late 60's as "the best regular upright player piano made in America" (serial nos. 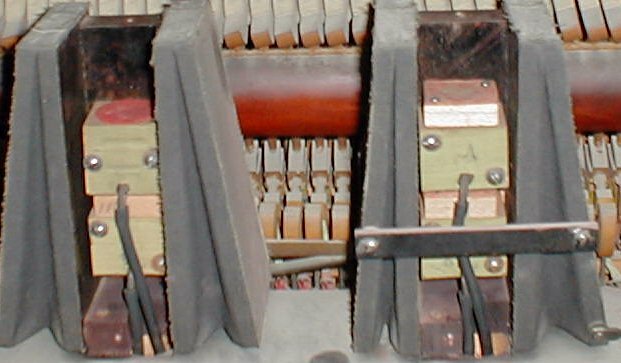 30,000-50,000), the Lãuter-Humãnã player piano is somewhat unique in the world of player pianos because the Lãuter company was one of just a small handful of companies who made both the piano and the player mechanism in the same factory. As a result, much has been written about the company, and the player mechanism, and the intention of this webpage is to make that information more readily available to the general public. Below, you will find a number of hyper-links. Clicking on each link will take you to some bit of information about either the Lãuter company or their player mechanism. (To return here, simply CLOSE the new browser window that opens when you Click on the link.) As more information becomes available, this webpage will be updated. It is my sincere hope that you will find this information useful. In March 2006, a fellow player technician wrote to me and said that he considered the Bush & Lane player piano to be superior to the Lãuter-Humãnã. To find out why, read his email - click here. The articles listed below are located at the Mechanical Music Digest, the world's largest and best maintained Archive of information about mechanical musical instruments. Each of the articles was written by someone who has some information about the Lãuter company, or an interest in finding out more about the company. You may discover that in some instances there are differing opinions about various aspects of the company and it's player pianos. Please understand that no effort has been made to determine which information is correct and which is not. For the past couple of years John Tuttle has been accumulating information about the Lãuter-Humãnã. During that process he found that the company was in existence for almost ten years longer than was previously thought. Unfortunately, there is no way to actually verify the information other than one flier he found in the Howe Collection at the University of Maryland which was dated 1926. Recently (12-24-01), more information has come to light which verifies that the serial numbers/dates in the atlas are most likely incorrect. Based on a date that was written in pencil on the underside of a bass key, serial number 29342 was made in mid-1914, not 1906 as listed in the book. Also, it was discovered that the foundry where the plates were made embossed a date in the plate. Referring to the article (above) that was written by Paul Manganaro concerning Manufacturing Dates, John took some pictures of the 'date' on his Lauter plate (see "Plate Date" below). 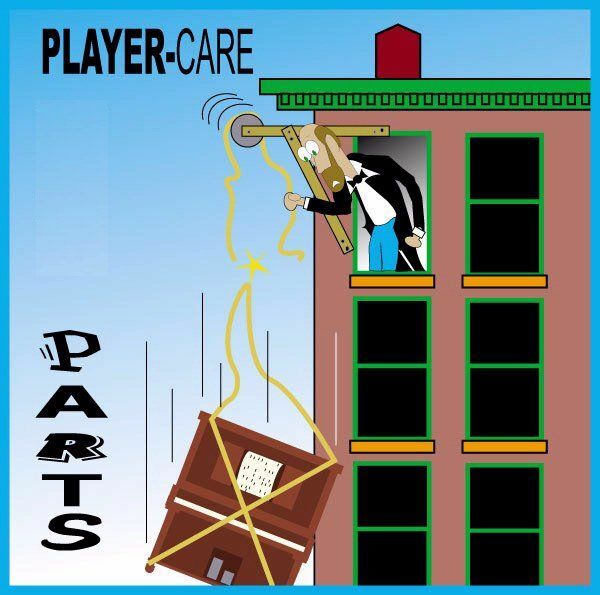 Below are links to all of the webpages and graphics at Player-Care that relate to the Lãuter-Humãnã. Webpage showing "How to Access the Piano Action"
Cosmetically and structurally speaking, I can't say enough about the quality of materials in the Lãuter-Humãnã players from serial number 30,000 to 50,000. It's said that 'Old Man' Lauter traveled the world buying the highest quality materials that were available. The evidence of this is everywhere you look. I still rave about the quality of the ivory everytime I talk about my piano. Over 80 years old, every single ivory is pearl-white and silky to the touch. Truly a joy to the finger tips. Having re-veneered one unit, I had to look far and wide to find replacement veneer that came very close to the quality of the original veneer. 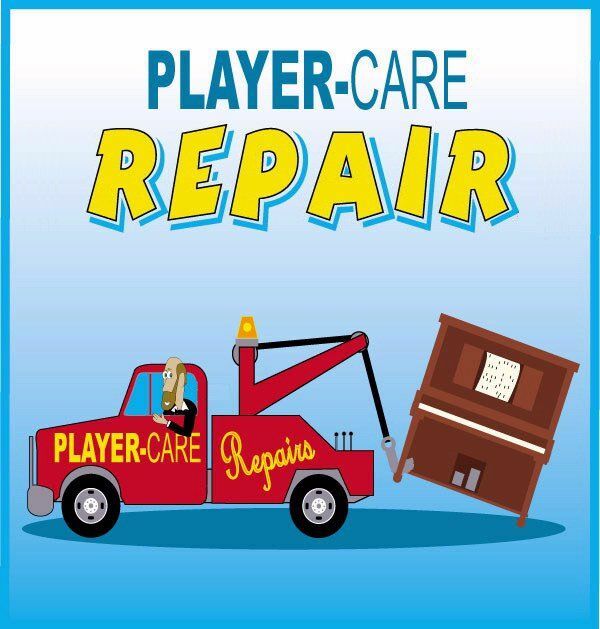 Of the more than one-hundred Lãuter-Humãnã players I've seen, only two had any loose or lifting veneer, and in both cases there was severe water damage.